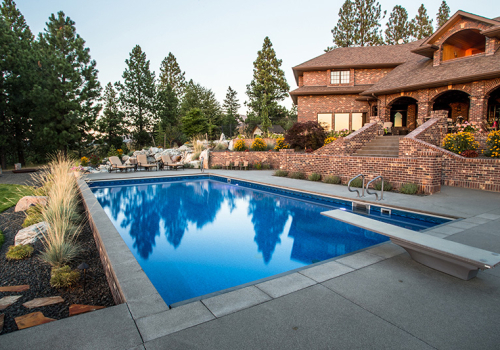 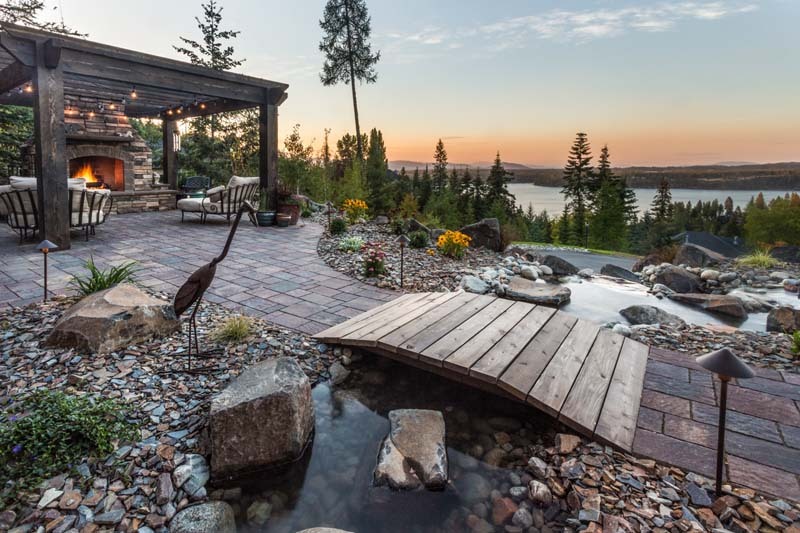 The hillside setting for this home affords great views, but also limits the space available to enjoy the outdoors. 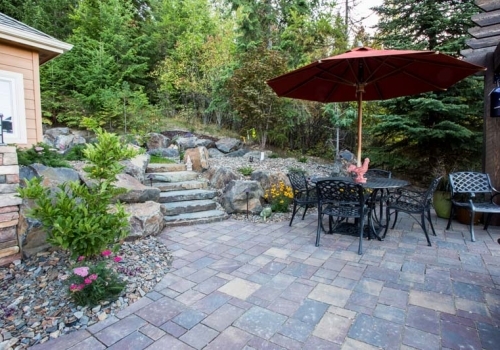 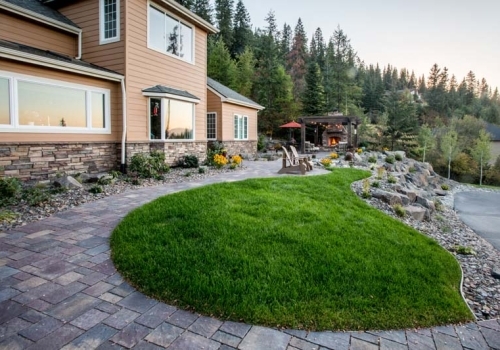 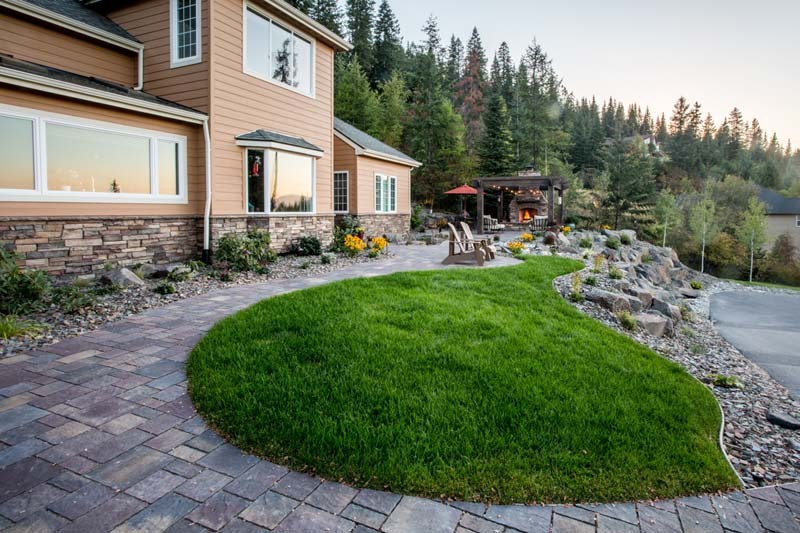 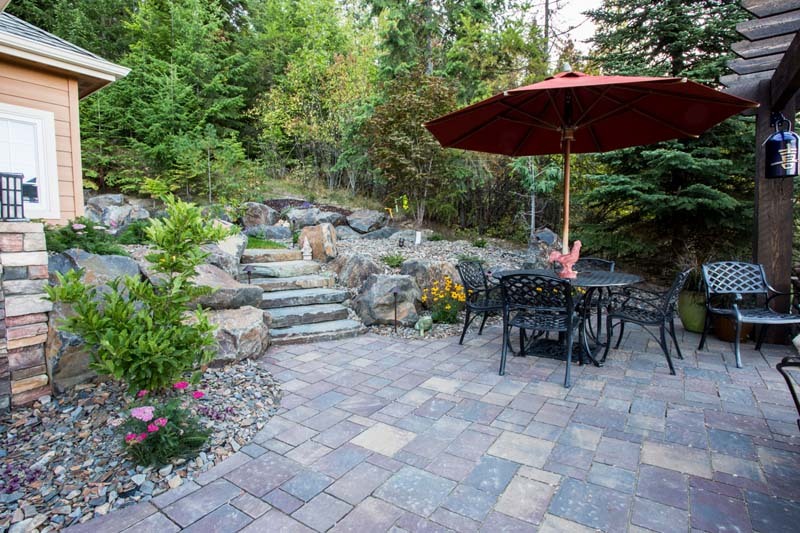 Removing a small brick patio and much of the lawn set the stage for a front yard transformation. 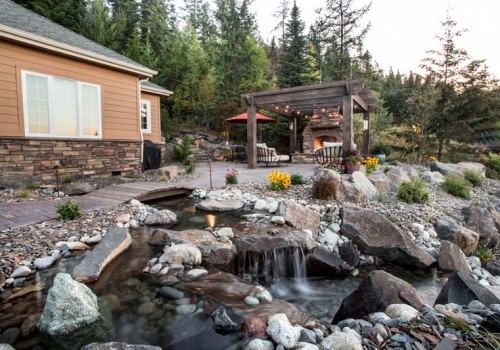 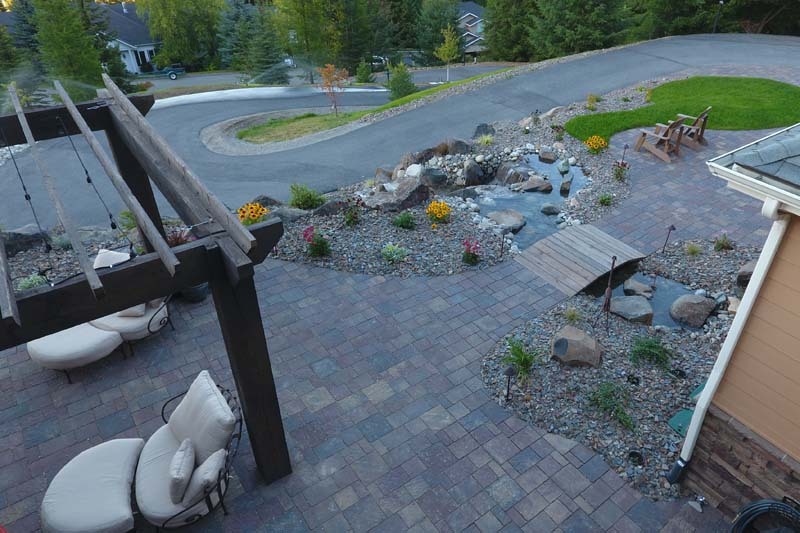 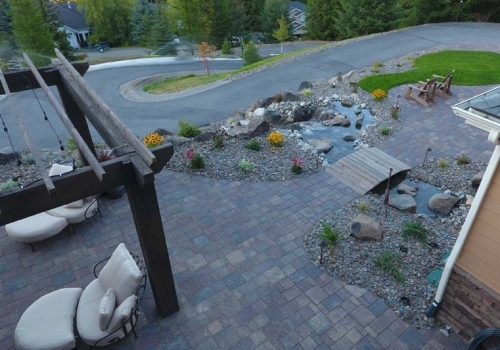 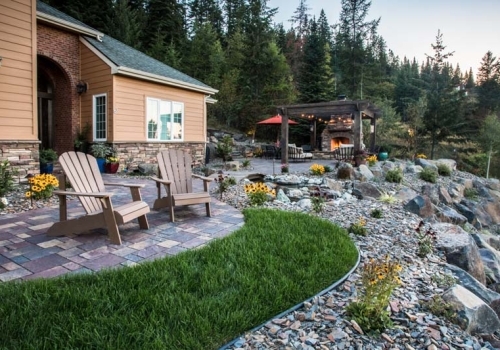 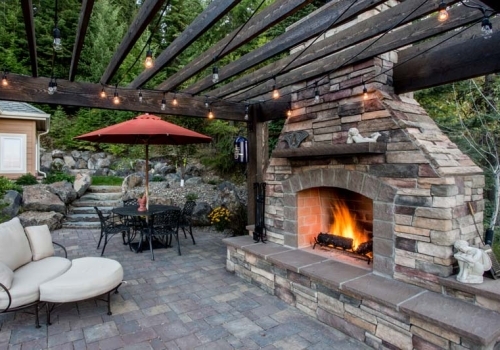 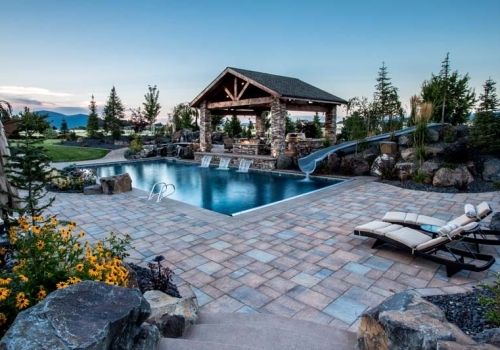 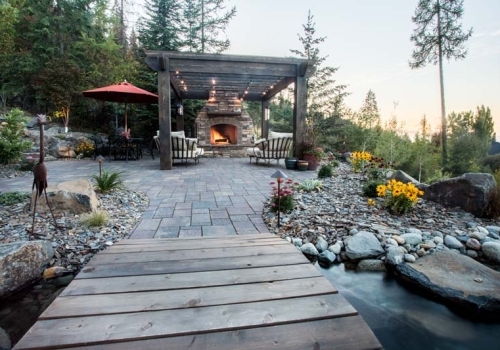 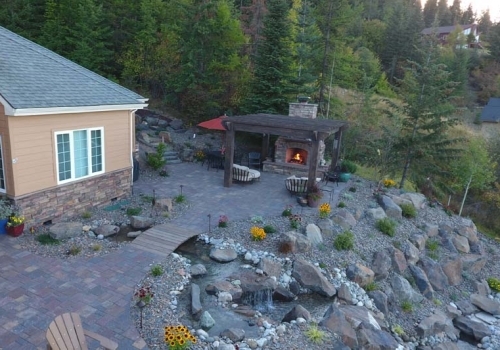 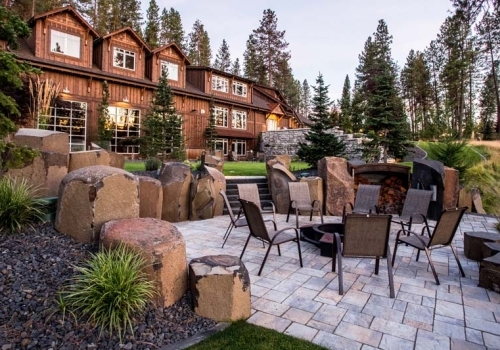 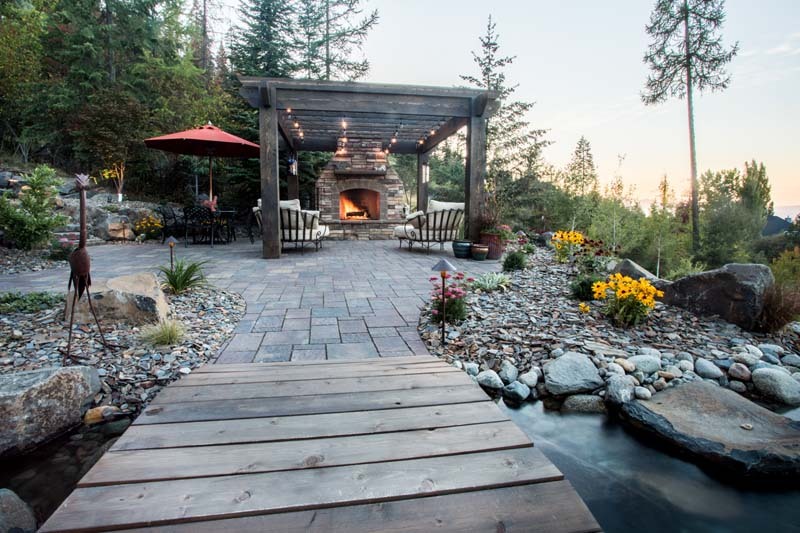 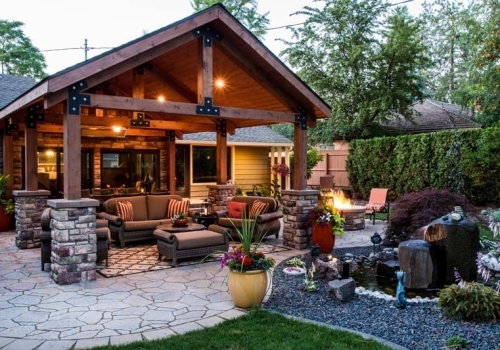 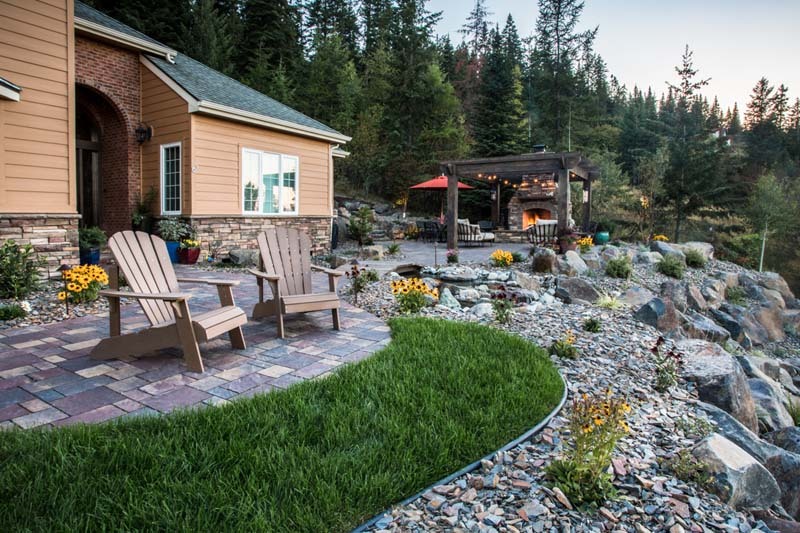 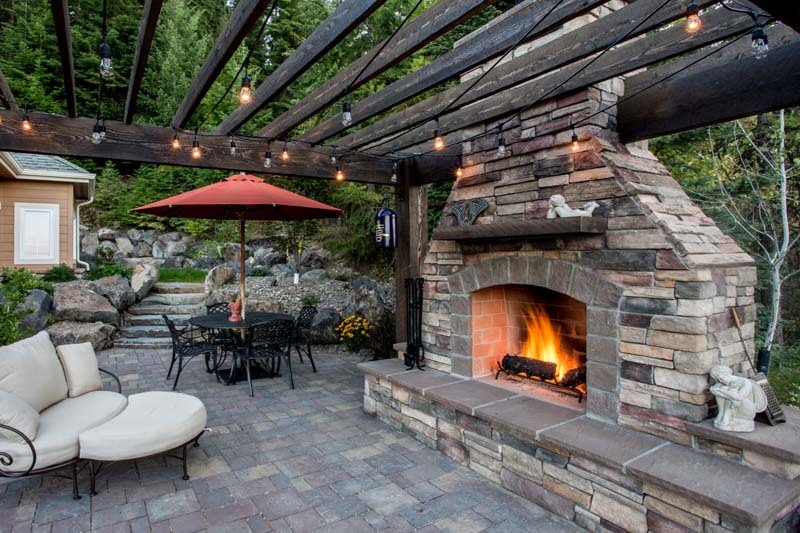 A cedar pergola and wood-burning fireplace anchor the new paver patio and fit with the natural setting. 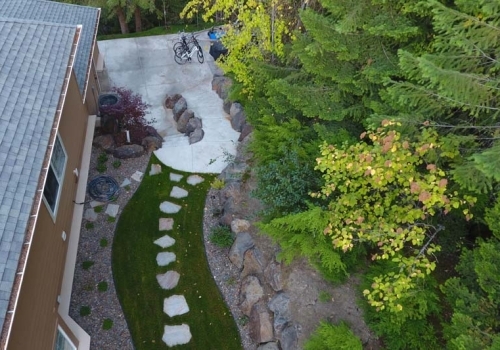 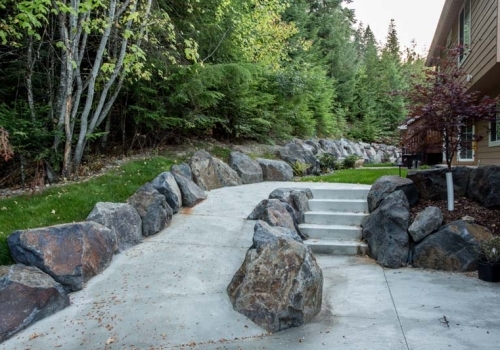 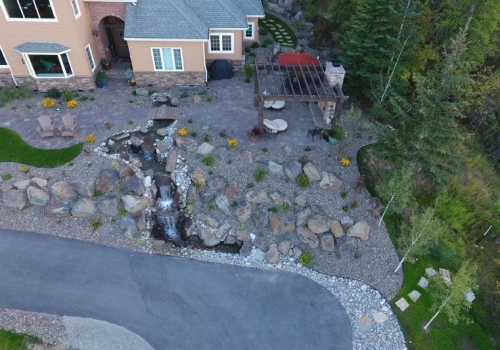 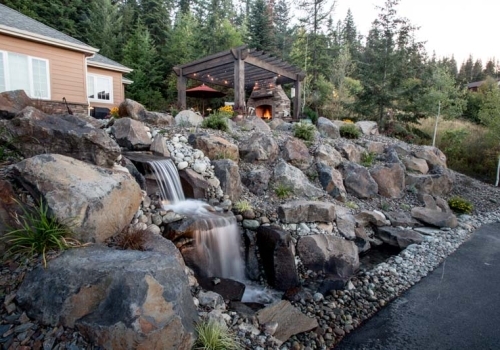 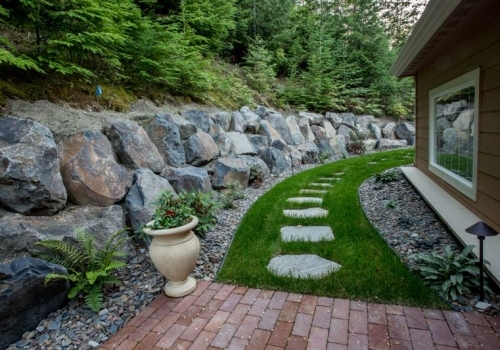 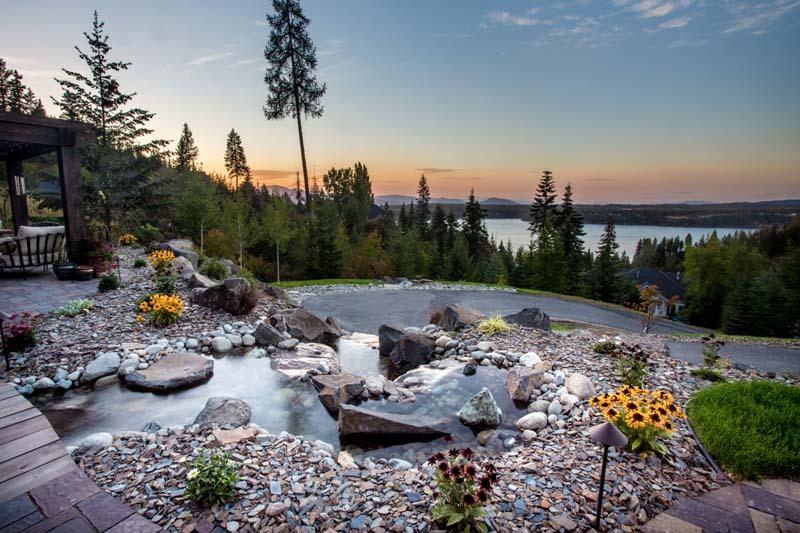 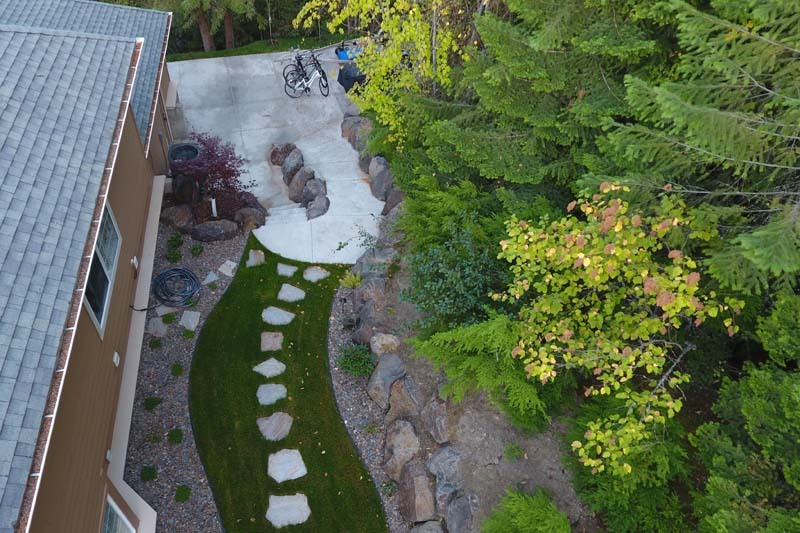 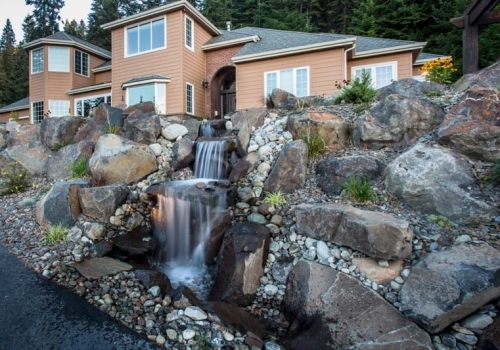 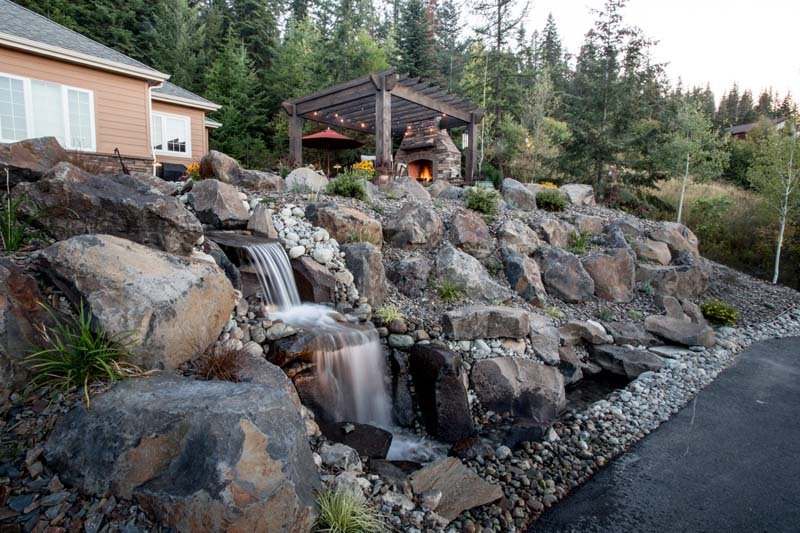 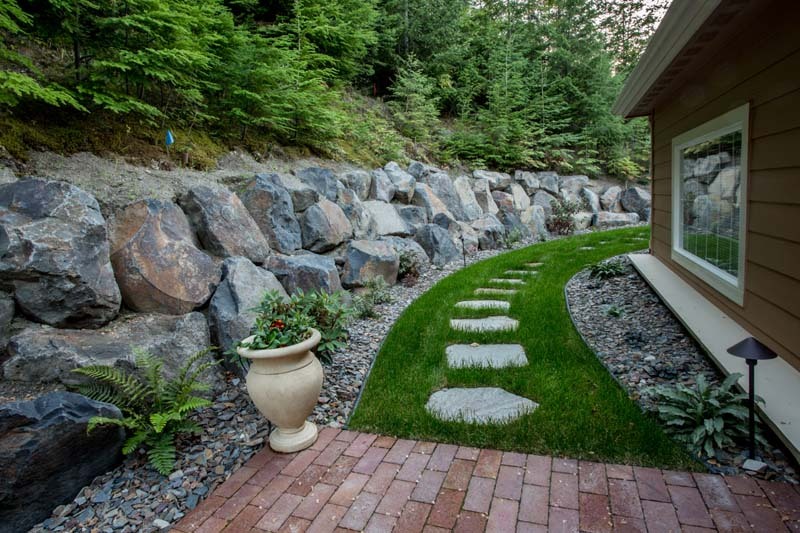 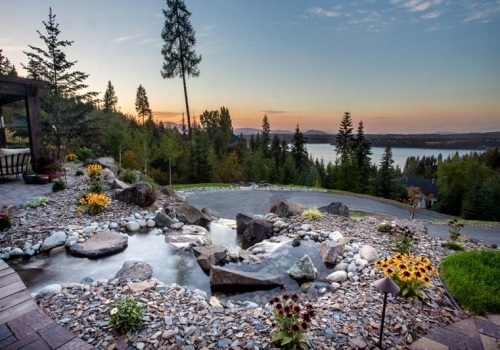 A new water feature continues the theme, taking advantage of the natural slope to create a stunning landscape element that welcomes guests as they approach the house.